President Obama’s visit to Hiroshima became a big topic in Japan. I think it was an important sign of the mutual understanding between America and Japan. I can tell you the reasons for my opinion of his speech. The biggest point was that it was the first time an American president visited either of the two cities that were destroyed by atom bombs. Also, in the very first part of his speech he expressed his condolence to the people who died there. He didn’t actually say any apologies about the nuclear attack, but I felt his sympathy. He also spoke of specific examples of hibakusha (atomic bomb victims). I think he tried to show us his thoughtfulness and create a close feeling with those people. I guess it must be difficult for an American president to interact with Japanese hibakusha, I was impressed by his amicable gesture. President Obama came to Hiroshima and he prayed for peace all over the world. We mustn’t forget this meaningful occurrence. I want to always keep his words in my heart. 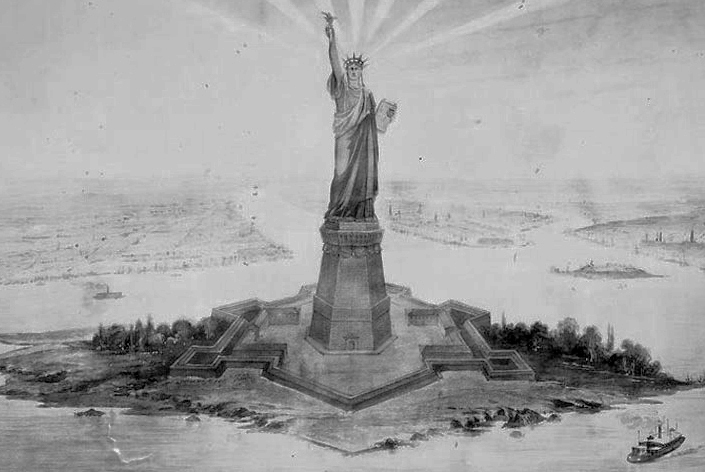 Sketch of Bartholdi’s concept for the Statue of Liberty published in Scribners Monthly – June 1887. “The Statue of Liberty Enlightening the World” was a gift of friendship from the people of France to the United States. The 46-meter statue, designed by French sculptor Frederic-Auguste Bartholdi, was constructed in France and shipped to the US in pieces. The people of America donated the money to build the 47-meter-high pedestal. The giant lady was dedicated on Oct. 28, 1886, on the site of an old army fort on Liberty Island in New York Harbor just off the coast of Jersey City. The French said the statue was to honor international republicanism, but in 1903 it became a symbol of immigration with the dedication of Emma Lazarus’ 1883 ode to the nation’s immigrant roots. 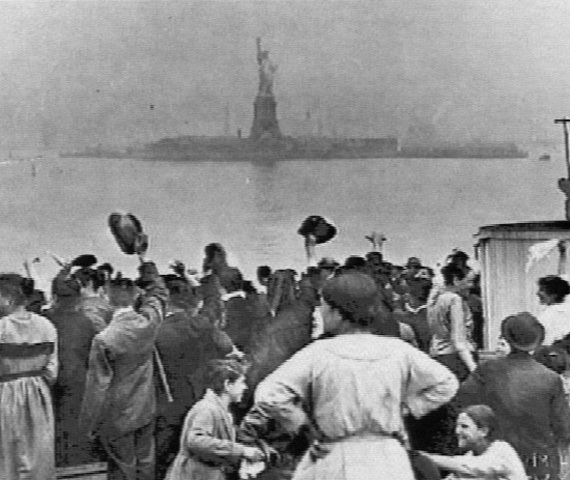 In 1911, my grandmother, then 23 years old, sailed past Lady Liberty as she arrived at neighboring Ellis Island aboard one of several German ocean liners built specifically to carry immigrants to America, their ‘promised land’. 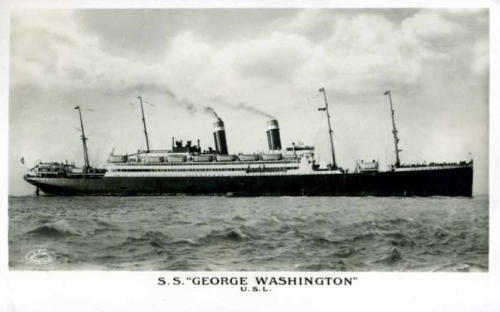 The S.S. George Washington sailed the same route the Titanic would take one year later. In fact, while sailing that route on the afternoon of 14 April, 1912, the George Washington spotted a huge iceberg. The crew transmitted a warning to all ships in the area, but the Titanic, then on its way, never got the message. Grandma Ella did make the crossing safely with her six-month-old baby, William, my uncle. My grandfather William Valentine Degenhardt had come over ahead of them. He found a home for his family in nearby Rahway, New Jersey. 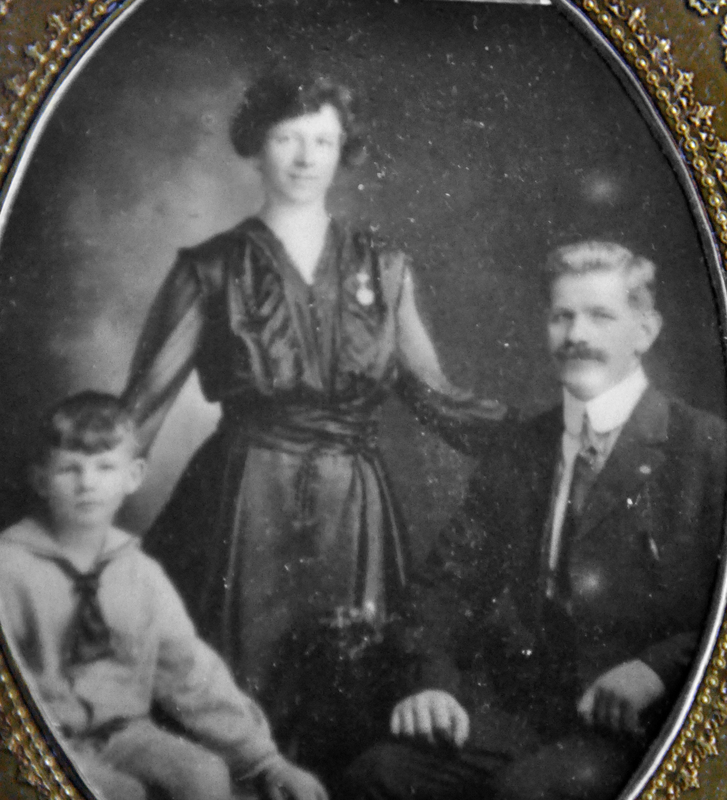 My grandfather, William Valentine Degenhardt and grandmother Ella with their first son William. Circa 1918. 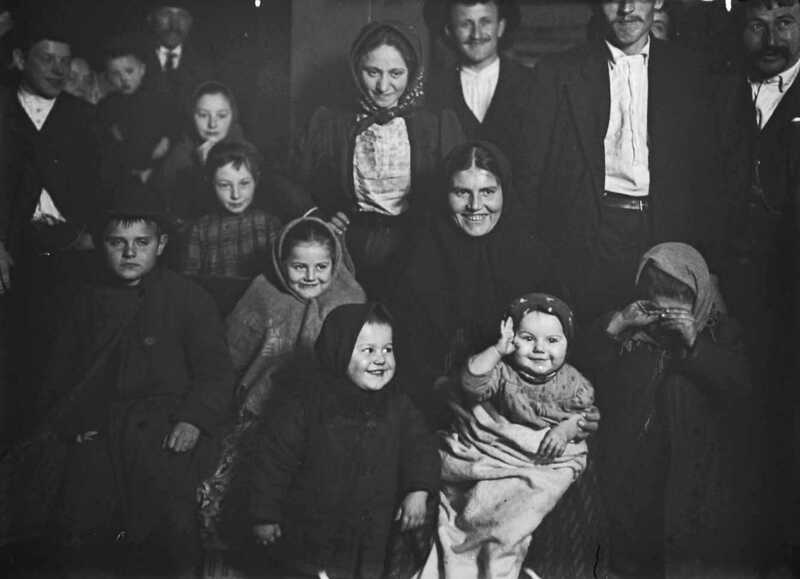 America has always been a nation of immigrants, but often new immigrants are shunned by those who arrived before them. 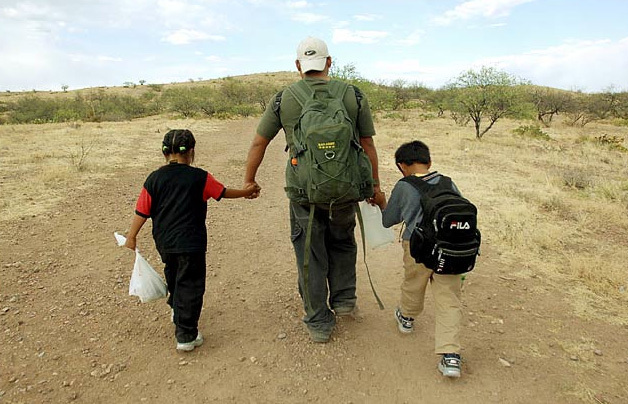 Recently, the news is filled with images of children from Central America who were arrested by the U.S. Border Patrol for illegally entering the country across the US-Mexican border. There have always been bigots, alarmists and nativists; there have also been good folks who try to keep America’s legendary hospitality alive. One of them, David Lynn Jones, echoed the words of Emma Lazarus in a simple country and western song. This song was performed by Willie Nelson and released in 1986 for Lady Liberty’s 100th birthday. Dane My birthday isn’t for a month yet. I’m growing old fast enough as it is, you don’t have to hurry it any. Yuji No. I mean Happy Birthday America. Today is Independence Day. Dane Oh that? I had been ignoring it for so many years, I had forgotten about it. Yuji Ignoring your nation’s birthday? Why would you want to do that? Dane In a word? Bush! Yuji Oh yeah. But you should be happy now. No more Bush. And… you’ve got Obama! Dane Yeah, mister “Hope and Change”. So far, there hasn’t been enough change and I’m starting to run low on hope. Yuji Well, what do you think it would be like if McCain had won? Dane Worse, I suppose. He might have started another war, this time in Iran. Yuji Well McCain didn’t win, so you should relax and enjoy the Fourth of July. Dane It’s hard to do the fireworks and flag waving when we’re still mixed up in two hopeless wars. Yuji What has Independence Day got to do with war? I thought it was all about Jefferson’s Declaration of Independence. Dane Exactly! And that document, as noble as it is, was actually a declaration of war. Yuji What are you saying? You think the Revolutionary War was a mistake? Dane It might have been. Yuji You’ve got to be kidding! Americans had to fight for their freedom. Dane We didn’t really have to. Yuji What are you talking about?Have you ever thought what it would be like now if they hadn’t fought? Dane Yes, I have, actually. And I figure it would be just like Canada. Yuji No! It would BE Canada! Dane Right. And that wouldn’t be so bad. I don’t hear the Canadians complaining. Yuji But America wouldn’t have been the birthplace of democracy. Dane No, but it would still be a democracy, like England, Canada and so many other countries are today. Yuji Maybe. 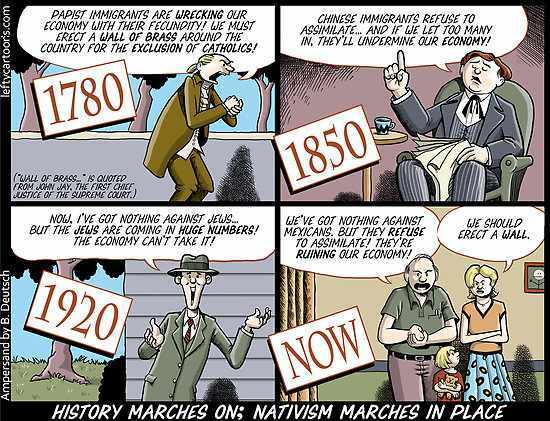 But I’m sure American history would have been a lot different. Dane It sure would have!We probably wouldn’t have had a civil war. Yuji Does that mean you’d still have slavery? Dane No, in fact the Brits outlawed slavery in 1833. So British America would have freed the slaves 30 years earlier than the USA did. Yuji What about the west? British America might not have gotten all that land from France and Mexico. Dane They probably would have taken most of it from France in the Napoleonic Wars. And that feisty old Victoria might very well have swallowed up everything as far south as Panama. Yuji Then who’d you get to produce all your stuff at slave wages? Yuji Anyway, Victoria would have sent all you Americans – and Mexicans – off to fight in her endless wars across the British Empire. Dane Oh yeah, I hadn’t thought about that! But you’re right, we would have been drafted to fight in India and God knows where. Yuji So if you had not fought the Revolutionary War you would have had to fight in a whole lot more wars around the world. Dane If you look at it that way, I guess the Revolution was worth it after all. Yuji So now you should feel better about celebrating Independence Day. Dane Yeah, I guess so. But there is one other thing. Dane If we were a Commonwealth nation we wouldn’t have to listen to all those corny patriotic songs! Yuji Forget about it! You’re absolutely hopeless!